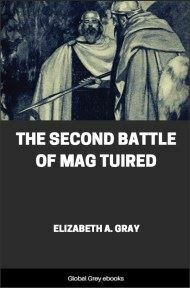 This contains both Volumes. 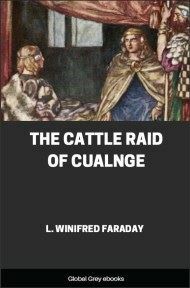 Includes; the Courtship of Etain; the Boar of Mac Datho; the Sick-bed of Cuchulain; the Death of the Sons of Usnach; the Combat at the Ford; and, the five 'Tains' or Cattle-Forays of Fraech (Tain bo Fraich), Dartaid (The Raid for Dartaid's Cattle), Regamon (The Raid for the Cattle of Regamon), Flidais (The Driving of the Cattle of Flidais), and Regamna (The Apparition of The Great Queen to Cuchulain). AT a time like the present, when in the opinion of many the great literatures of Greece and Rome are ceasing to hold the influence that they have so long exerted upon human thought, and when the study of the greatest works of the ancient world is derided as "useless," it may be too sanguine to hope that any attention can be paid to a literature that is quite as useless as the Greek; which deals with a time, which, if not actually as far removed from ours as are classical times, is yet further removed in ideas; a literature which is known to few and has yet to win its way to favour, while the far superior literature of Greece finds it hard to defend the position that it long ago won. It may be that reasons like these have weighed with those scholars who have opened up for us the long-hidden treasures of Celtic literature; despairing of the effort to obtain for that literature its rightful crown, and the homage due to it from those who can appreciate literary work for itself, they have been contented to ask for the support of that smaller body who from philological, antiquarian, or, strange as it may appear, from political reasons, are prepared to take a modified interest in what should be universally regarded as in its way one of the most interesting literatures of the world. 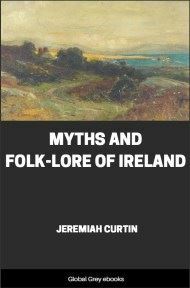 The literary aspect of the ancient literature of Ireland has not indeed been altogether neglected. It has been used to furnish themes on which modern poems can be written; ancient authority has been found in it for what is essentially modern thought: modern English and Irish poets have claimed the old Irish romances as inspirers, but the romances themselves have been left to the scholars and the antiquarians. This is not the position that Irish literature ought to fill. 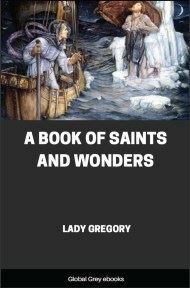 It does undoubtedly tell us much of the most ancient legends of modern Europe which could not have been known without it; but this is not its sole, or even its chief claim to be heard. It is itself the connecting-link between the Old World and the New, written, so far as can be ascertained, at the time when the literary energies of the ancient world were dead, when the literatures of modern Europe had not been born, in a country that had no share in the ancient civilisation of Rome, among a people which still retained many legends and possibly a rudimentary literature drawn from ancient Celtic sources, and was producing the men who were the earliest classical scholars of the modern world. 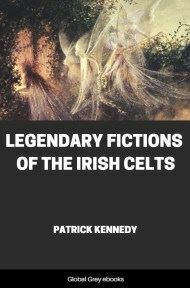 The exact extent of the direct influence of Irish literature upon the development of other nations is hard to trace, chiefly because the influence of Ireland upon the Continent was at its height at the time when none of the languages of modern Europe except Welsh and Anglo-Saxon had reached a stage at which they might be used for literary purposes, and a Continental literature on which the Irish one might have influence simply did not exist. Its subsequent influence, in the tenth and eleventh centuries, upon Welsh, and through Welsh upon the early Breton literature (now lost) appears to be established; it is usually supposed that its action upon the earliest French compositions was only through the medium of these languages, but it is at least possible that its influence in this case also was more direct. In Merovingian and early Carlovingian times, when French songs were composed, which are now lost but must have preceded the extant chansons de geste, the Irish schools were attracting scholars from the neighbouring countries of Europe; Ireland was sending out a steady stream of "learned men" to France, Germany, and Italy; and it is at least possible that some who knew the Irish teachers realized the merit of the literary works with which some of these teachers must have been familiar. The form of the twelfth-century French romance. "Aucassin and Nicolete," is that of the chief Irish romances, and may well have been suggested by them; whilst the variety of the rhythm and the elaborate laws of the earliest French poetry, which, both in its Northern and Southern form, dates from the first half of the twelfth century, almost imply a pre-existing model; and such a model is more easily traced in Irish than in any other vernacular literature that was then available. 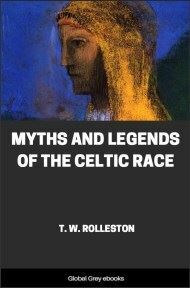 It is indeed nearly as hard to suppose that the beautiful literature of Ireland had absolutely no influence upon nations known to be in contact with it, as it would be to hold to the belief that the ancient Cretan civilisation had no effect upon the literary development that culminated in the poems of Homer. Before speaking of what the Irish literature was, it may be well to say what it was not. 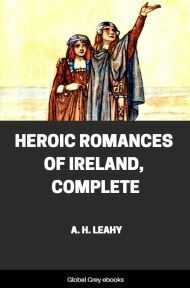 The incidents related in it date back, according to the "antiquaries" of the ninth to the twelfth centuries, some to the Christian era, some to a period long anterior to it; but occasional allusions to events that were unknown in Ireland before the introduction of Christianity, and a few to classical personages, show that the form of the present romances can hardly be pre-Christian, or even close translations into Old or Middle Irish of Druidic tales. It has therefore been the fashion to speak of the romances as inaccurate survivals of pre-Christian works, which have been added to by successive generations of "bards," a mode of viewing our versions of the romances which of course puts them out of the category of original literature and hands them over to the antiquarians; but before they suffer this fate, it is reasonable to ask that their own literary merit should be considered in a more serious manner than has yet been attempted.